Purefecto: How do you make a soft and flowy building? 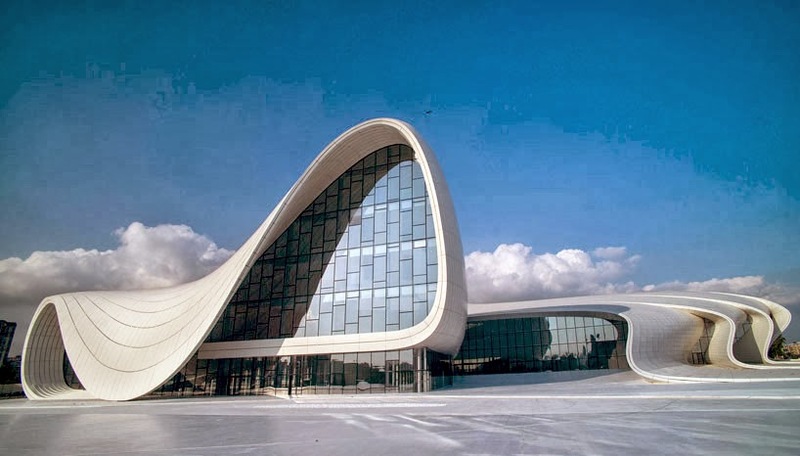 Just ask architect Zaha Hadid! She gives a masterclass to architectural students on how to take a Mobius strip/ Klein bottle shape and turn it into a real functional building. Once again, her architecture is beyond inspiring. Heydar Aliyev cultural center looks like a gentle waterfall from the sky. The ceiling structure seems like a handkerchief dripping down on some kind of ridgid structure and enveloping it in the process. A building manages to look soft while it's inherent quality is rigid.